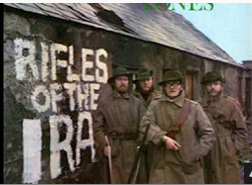 One of my favorite Irish groups was the Wolfe Tones. Their song “Seasons” always reminds me of the constant cycles of events of life. It’s a new year, a supposed new start of things (like taxes and laws) with new politicians in office and new hopes. I however would like to share the reality that while things change, they really stay pretty much the same.